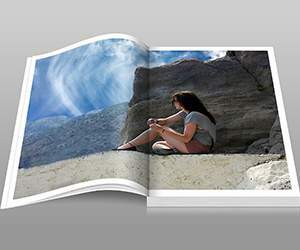 Want to create quality, long-lasting gifts and keepsakes from your photos? With a Huggler voucher code you can give your digital photographs a new lease of life without spending a fortune. Whether you want to compile a beautiful photo book from snapshots of a new baby, get sophisticated prints of your wedding photos or just utilise Huggler's fantastic photo sharing and storing facilities, a Huggler voucher will help you get the most out of your photos. Huggler is a company with three main goals. The first is to help customers make the most out of your memories, allowing them to create lasting souvenirs and keepsakes from their photos. While many digital photos these days remain on devices never to see the light of day, Huggler aims to help your photos realise their full potential, using them to create a range of products and gifts including photo books, calendars, personal greetings cards, photo diaries, prints, posters and more. The second goal of Huggler is to provide a safe and secure place for customers to store an unlimited amount of photos for free. As well as providing a one-stop-shop for creating lasting memories from your digital photos, Huggler allows its customers to store all of their photos free of charge on the huggler.com servers, keeping them all in one place and allowing quick access from anywhere in the world. Thirdly, Huggler aims to make it easy for customers to share their photos and photo creations with friends and family around the world. By hosting your images for you on their website, Huggler allows you to share everything you have captured by simply emailing a URL or linking to your images on a social networking site. Huggler's website is designed to be simple and easy for even the most technologically wary customers to use, offering a step-by-step guide to uploading photos, selecting and personalising products and ordering items. The company aims to be environmentally friendly too, using state-of-the-art specialist equipment that cuts down on chemicals and machinery rather than traditional chemical wet labs to produce their prints. Finally, the company is dedicated to providing first class customer service every step of the way, from the team of experienced professionals on hand to answer any of your technical queries to the quality delivery service that will see your products arrive in top condition at your doorstep in record time. Want to get shopping with Huggler? With a Huggler voucher code you can get the most out of your digital photos without breaking the bank. Whether you want to design a personalised photo book for a loved one, blow up a special photo into a poster or just find a place to store and share all your photos online, a Huggler voucher will help you save money while you shop. 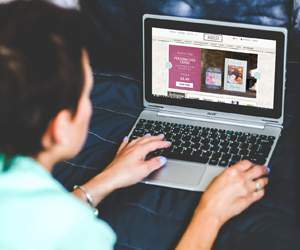 Browse our website until you find a Huggler voucher code that suits you, then navigate to their website to begin shopping. Click 'Create now' to start designing your product. Enter your Huggler voucher code in the box provided and click 'Continue'. And be sure to let your friends know where you picked up your Huggler discount code! Upload images and design your product. Enter your payment details and click 'Confirm payment'. If you’ve made it this far and are about to whip out your credit card, take a second to double check that you’ve redeemed your free Huggler voucher. After all, you wouldn’t want to miss out on free savings would you? Standard UK delivery starts at £2.99, with First Class delivery at £3.99. If for any reason you are not happy with your product or are having issues getting your Huggler discount, all you need to do is contact the team and they will happily work to resolve your problem. Need to contact the team at Huggler? Whether you have a question about your order, need technical help with uploading images or simply want to find out more about saving money with a Huggler voucher, you can contact the Customer Service department by emailing help@huggler.com. Want to find out more about what's happening behind the scenes at Huggler? The company maintains a profile across all your favourite social media networks. Follow them for access to lots of exclusive content including top photos, competitions, photo inspiration and more. You can also use these pages to find out more about saving money with a Huggler voucher code. Don’t forget to check them regularly, as you can never be sure when a free Huggler voucher might be waiting for you! Buy now online at www.huggler.com. My elderly mother doesn't get on with digital technology, so she sometimes misses out on pictures of the kids. Thanks to the Huggler voucher code I found online, however, I can create all sorts of keepsakes for her to treasure. 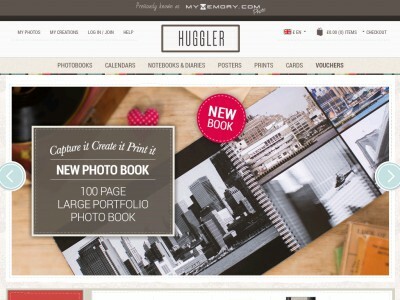 At huggler.com, I can use a Huggler voucher to get great deals on a wide range of photobooks, calendars, posters and more – all created from my digital photos. With a Huggler voucher code my mum doesn't need to miss out on the family photos – which is why I recommend a Huggler voucher to anyone with a growing family.